G'day. Come on in. Kick back and relax. Your real Australian outback experience starts here. Broken Hill Tourist Park is centrally located so you can experience everything our stunning outback region has to offer. We're close to all the main attractions including our much photographed 'Living Desert Scuptures' and we're handy to the city centre - 3 kms from the city's Tourist Information Centre and 1.5 kms from Centro Westside Plaza shopping centre. 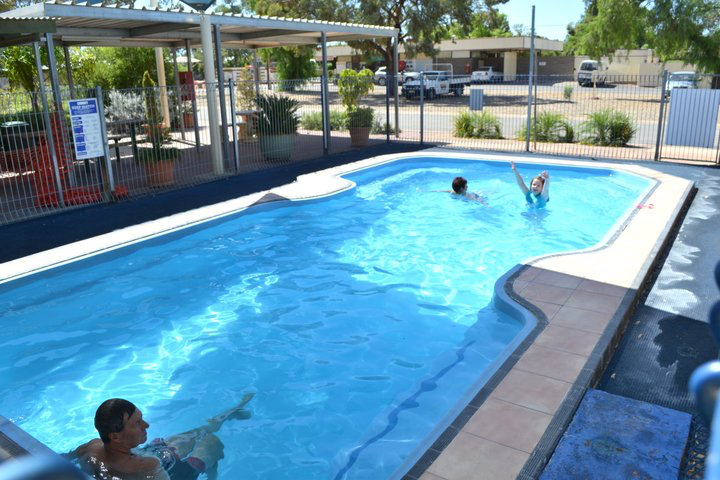 At Broken Hill Tourist Park we offer a range of accommodation to suit your holiday style and budget from luxurious cabins to powered caravan and camping sites, including private ensuite sites and drive-through sites for extra convenience. As our guest you can cool off in our inground swimming pool which is solar heated for year round swimming. The kids can start their outback adventure in our childrens' playground and the whole family can enjoy a delicious meal cooked to perfection on our undercover BBQ. We even provide entertainment and social activities from time to time. Plus we offer Free Wireless Internet access throughout the park. (Check with Reception for details). And yes! We are Pet Friendly so you can bring your furry loved ones with you on your holiday and travels. Your dog can stay with you on any caravan or camping site any time of the year. 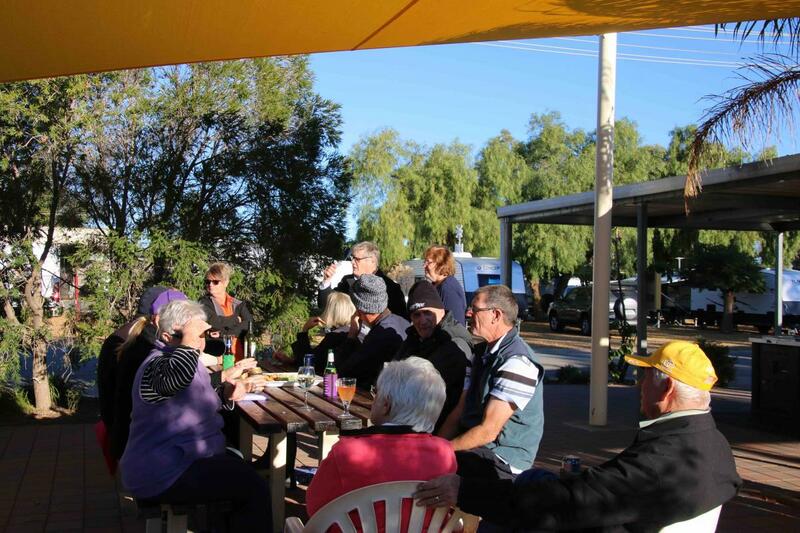 Come and experience Broken Hill like a local and stay with us at Broken Hill Tourist Park. We look forward to welcoming you. We offer a variety of cabin options to suit most budgets from well appointed two-bedroom cabins ideal for families through to basic studio cabins perfect for couples or singles. If you're bringing your own accommodation we offer spacious powered sites and private ensuite sites complete with your own shower and toilet facility. 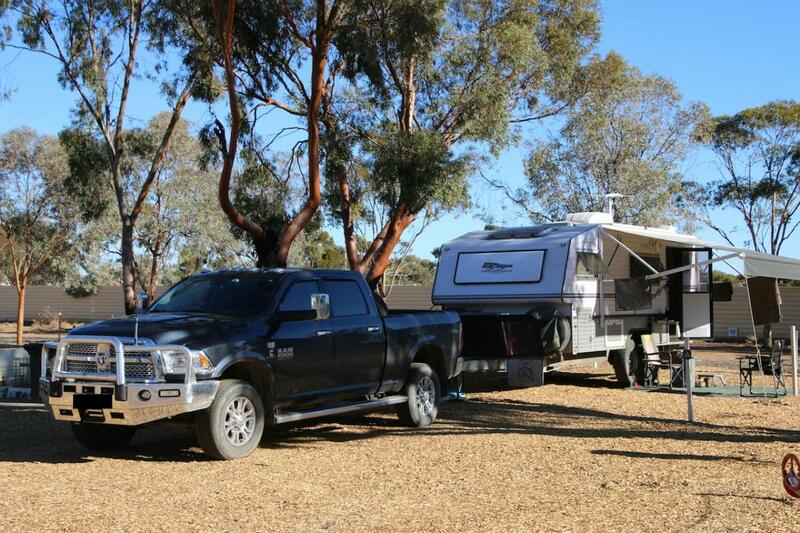 We welcome everyone to Broken Hill Tourist Park whether you're touring the outback towing a caravan or pitching a tent and can also accommodate large recreational vehicles including buses, motor homes and 5th wheelers. Check out our drive- through sites for even greater convenience. Drive-thru Powered Sites - caravanning just got easier!